NO. 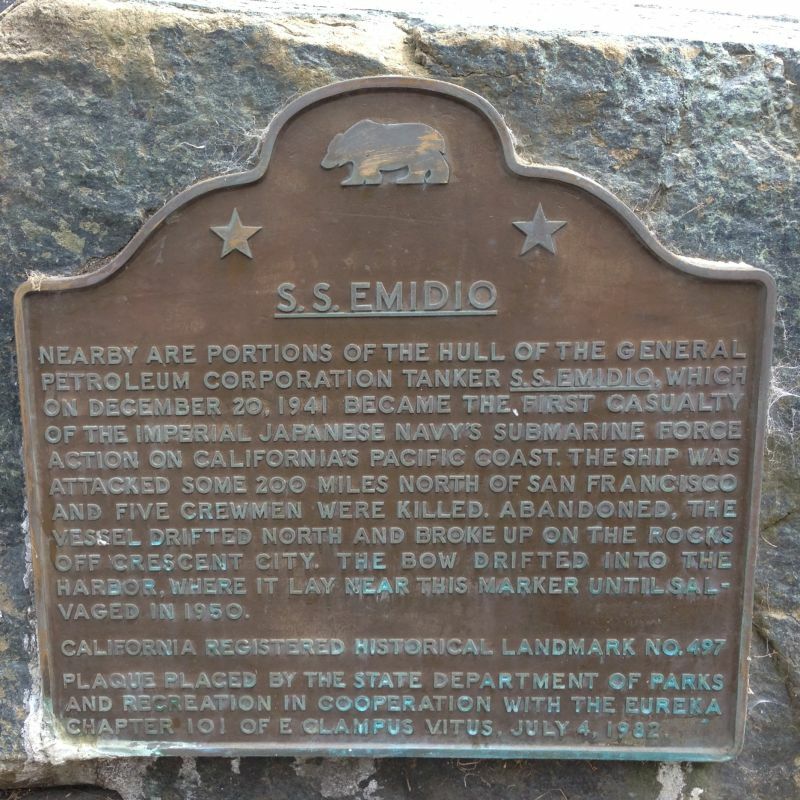 497 S.S. EMIDIO - Nearby are portions of the hull of the General Petroleum Corporation tanker S.S. Emidio, which on December 20, 1941 became the first casualty of the Imperial Japanese Navy's submarine force action on California's Pacific Coast. 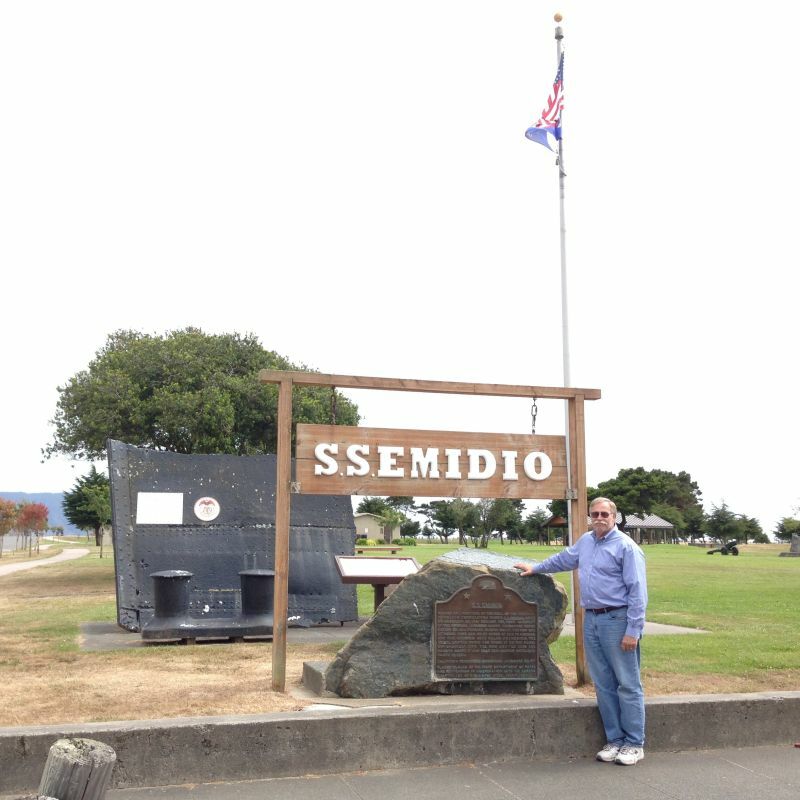 The ship was attacked some 200 miles north of San Francisco and five crewmen were killed. 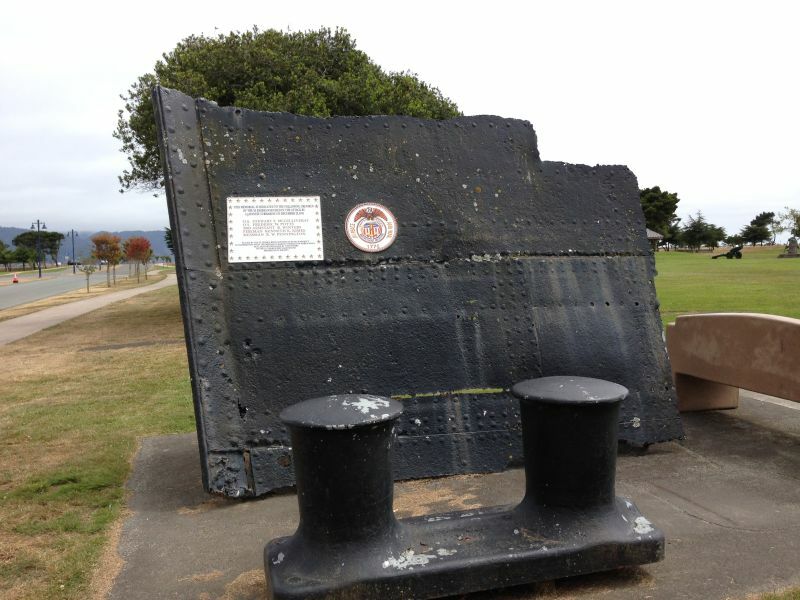 Abandoned, the vessel drifted north and broke up on the rocks off Crescent City. 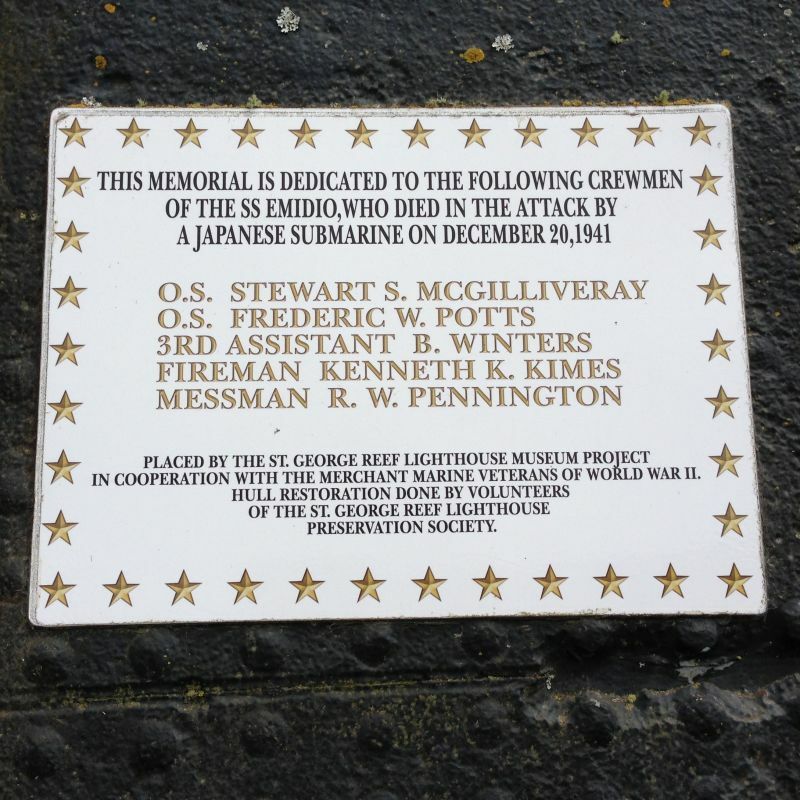 The bow drifted into the harbor, where it lay near this marker until salvaged in 1950.